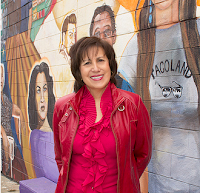 SAN ANTONIO, TX -- The National Association of Latino Arts and Cultures (NALAC), is proud to announce the Presidential appointment of NALAC Executive Director and Board member, María López De León as a Member of National Council on the Arts. María López De León will join the 18-member National Council that advises the Chairman of the National Endowment for the Arts on agency policy and programs. 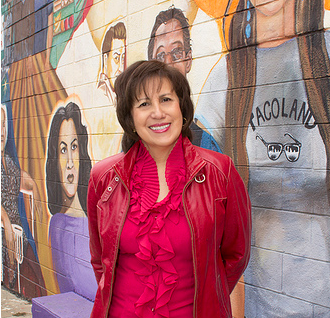 Most recently, Ms. De León was named among the nation's 2012 Fifty Most Powerful and Influential People in the Nonprofit Arts by the Fifth annual Barry’s Blog listing of the Western States Arts Federation and was selected to serve in an 11-member national artist advisory panel to help review the Kennedy Center Honors selection process. The National Association of Latino Arts and Cultures (NALAC) is a legacy organization investing in the Latino heritage of this nation. For over 23 years, NALAC has built a strong foundation for the promotion of Latino arts and culture and its advocacy efforts have advanced issues of cultural equity and raised the visibility and understanding of Latino artistic and cultural expression. NALAC serves the Latino arts field with programs that provide leadership training, foster innovation and creativity and sustainability. Since October 2012, NALAC has been engaged in dialogue with the John F. Kennedy Center for the Performing Arts to pursue positive changes in the Kennedy Center Honors program and discuss expansion of its other programs to be more inclusive of our nation’s diverse heritage. We realize that in the case of the Kennedy Center Honors program, such inclusivity is not reflected and NALAC shares in the collective concern for change in this program.